The Black Mamba Disposable Nitrile Gloves With Torque Grip BX-BMGT have become renowned in the hand safety market due to their specialist properties which have made them an industry favorite. 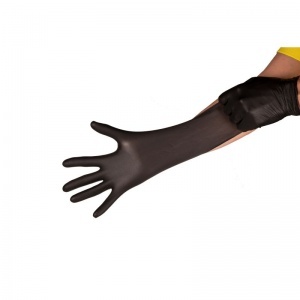 Ranging from the oil to chemical industry, the Black Mamba Disposable Nitrile Gloves With Torque Grip BX-BMGT have proven to be a reliable glove which people trust. This reliance is in part due to the superior strength and tear resistance of the gloves which allow the user to rest assured that they are using one of the toughest gloves on the market. Alongside the protection from tearing is the chemical resistance of the Black Mamba Disposable Nitrile Gloves With Torque Grip BX-BMGT which has made them very popular within scientific institutions, the gloves are resistant to a wide range of chemicals and the list of chemicals can be found below. The Black Mamba Gloves arrive in a box of 100 gloves, they are available in sizes ranging from S to XXL. They are also available for purchase in bulk. 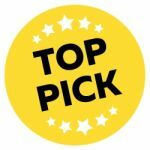 Torque Grip - Whilst the gloves offer increased grip for the user, the designers behind the glove have emphasized the importance of even more grip which has resulted in the option of adding Torque Grip to the gloves. Through this feature the gloves arrive with raised torque grips allowing further friction when dealing with the possibility of tools slipping from your glove. Within the mechanics and vehicle repair industry the need for a strong tough glove is essential. Whether it be dealing with changing a vehicle part or a customer, the Black Mamba Gloves allow the user to perform their tasks for a longer period of time without the continued concern of changing gloves. Part of the reason for this is that the gloves are jet black, this enables any spillages on the gloves via oil to be masked when dealing with customers. Alongside this reason is that the gloves have in place NITREX Polymer technology which provides increased strength and dexterity reducing the risk that you will puncture/tear the glove because you are able to feel the sharpness of a tool or part before penetration through a glove. When working within the oil industry it is crucial to use a pair of gloves which provide some form of increased grip resistance. With the Black Mamba Disposable Gloves you will not be disappointed in this sense, with Grip Rite technology offering increased grip and hold you can be assured that your tools are less likely to slip out of your grasp. Furthermore with the gloves arriving in jet black, you can go through a larger number of pairs with less spillage being transparent which is even more key if working within a customer facing environment. If you are in any doubt about your sizing then please contact us on 0207 720 2266 beforehand as once the box is opened we will not be able to accept a return of this item. I have my hands in and out of cleaning chemicals, paints and panel wipe all day, every day. I seriously love these gloves wet or dry & fantastic value for money. These gloves are only an extra £1 per box over the standard Black Mambas - worth it if you need a bit of extra grip. An excellent product, extremely fit for purpose and true to the description provided by SafetyGloves.co.uk. Also top marks for your speedy delivery system. Thank you. Tried a pair of these gloves after given free pair at Mecahanix expo. Worn them for a week before they broke. Ordered pack of them & lasting longer than any other glove before. Very satisfied they are very strong and last a lot longer than any other disposable glove I have used in the past. I stumbled on these whilst working at a customers house servicing their boiler. I'd given up on the usual rubber type glove as they were very easy to rip. The pair given to me to try were brilliant and lasted all day. After searching the web I found them at a great price on this website. A pair really does last me all day. Great value.